Little, Brown and Company, 9780316042512, 400pp. 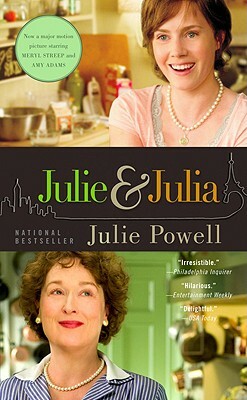 Julie & Julia, the bestselling memoir that's "irresistible....A kind of Bridget Jones meets The French Chef" (Philadelphia Inquirer), is now a major motion picture. Julie Powell, nearing thirty and trapped in a dead-end secretarial job, resolves to reclaim her life by cooking in the span of a single year, every one of the 524 recipes in Julia Child's legendary Mastering the Art of French Cooking. Her unexpected reward: not just a newfound respect for calves' livers and aspic, but a new life-lived with gusto. The film is written and directed by Nora Ephron and stars Amy Adams as Julie and Meryl Streep as Julia. After spending a long, long time working as a temp, Julie Powell now writes in her pajamas at her home in Queens, New York, and occasionally serves as a butcher's apprentice.